So many children and adults these days are allergic to nuts and gluten and it really limits the goodies they get to consume. Everybody deserves a tasty treat now and again! Rich’s “Our Specialty” Nut-Free Frosted Cookies arrived for me to review, just in time to send them along with my daughter whose kindergarten class was nut-free due to allergies! It was my daughter’s last day of school so I sent along one of our packages of Rich’s “Our Specialty” Nut-Free Frosted Cookies and she said they were a hit! How often are there treats that are intended for kids with allergies and they taste awful? It’s so nice to have a deliciously smooth sugar cookie with yummy frosting that everyone can enjoy. We received so many of the cookies that we were able to share and I was thrilled to hear that nut-allergic children of friends were also loving them! I especially loved the frosting on these cookies and I may or may not have licked it all off separately… I know, I know but mama loves her sweets. Rich’s “Our Specialty” Nut-Free Frosted Cookies would definitely make an appearance at a cookie party or celebration in our home, in consideration of all of the children in my social circle that have such severe allergies. I suggest checking them out!! You can purchase Rich’s “Our Specialty” Nut-Free Frosted Cookies at retailers near you. Follow Rich’s on Facebook and Twitter to follow their latest news, specials, and more! *Tiffany received the above product(s), free of charge, to facilitate this review. All opinions are those of reviewer only. Tiffany is a stay-at-home mommy of four beautiful girls and a handsome boy. Her passions lie in crafts and the arts, and she embraces every moment as a life lesson. 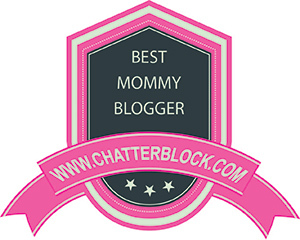 Tiffany also blogs at The Quirky Mom Next Door!